Views - Worldwide Property Market Bull Run Now In 8th Year: Time to Cash Out? Worldwide Property Market Bull Run Now In 8th Year: Time to Cash Out? 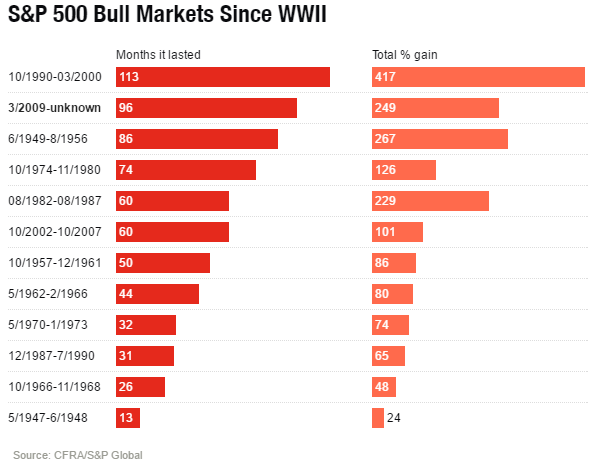 Since the lows of the Great Recession in 2009, the current S&P 500 bull run has now notched over eight years. Articles about how the listed property cycle is long-in-the-tooth have been making headlines for some time - but is now the right time to be hitting the eject button? In the US, where around two-thirds of listed REIT market capitalisation trades, the real estate cycle seems to be running parallel to the current period of economic growth. If one agrees that the new Trump administration is likely to bring about tax cuts, fiscal stimulus, a reduction in regulation, and an increase in infrastructure spending, then we have a base case for an extended run in property. The red flag in this case is inflation. If the above growth associated with the new presidency leads to inflationary pressures that require the Federal Reserve to raise interest rates at a faster than expected pace, then things may swing the other way. Too many hikes too quickly could hold the economy back and even lead to a recession. Either way (a recession or the subduing of the economy), there will be pressure on real estate. Right now, the consensus appears to be that the continued growth in America will prolong the real estate cycle and that Trump’s economics will lead to further demand for property. Time will of course tell. How does this cycle compare to previous cycles? History has taught us that the average property cycle lasts around eight years, and the average S&P 500 bull run averages 56 months. However, with interest rates globally at very low levels and with quantitative easing programmes still on the go in many regions worldwide, this cycle is anything but average. And as the textbook is rewritten, expectations are that the current cycle’s duration won’t be average either. This being said, the property market is so large and so diversified that each sub-sector of real estate needs to be analysed separately as each has its own cycle. For example, last week we looked at how the data centre and other specialty REITs in the US continue to outpace the traditional sectors in respect to ROI growth (you can read the article here). The dynamics at play in the data centre and cellular towers space make those sectors more defensive to interest rate hikes relative to REITs that are positioned in the office market, for example. How do the fundamentals stack up in respect to the current property market? In the UK: Population growth in the UK is set for an increase regardless of the fact that they will no longer be in the EU, and the forecast is for an extra three million people due to birth rate alone. Then add another six million due to the stifling of immigration across the EU as Brits find it harder to emigrate. Then add the fact that the UK housing market has over the last few years consistently delivered around half of the required new units that are needed to meet current demand levels. Interest rate levels are more than likely set to remain low for the short to medium term, and this in turn has a positive impact on the real estate sector. In the US: While there certainly are signs that absorption rates in some sectors of real estate are decreasing and rent growth is slowing, occupancy rates remain stable for the moment. New developments are also being kept in check primarily due to above average inflation-rate increases in cost of building, and specifically the rising cost of labour. �Even where there is growing demand in a sector like multi-family homes for example, the uptick in development is not overshooting. Mark McAllister, MD and Portfolio Manager at ClearBridge Investments, sees the market as close to fairly valued: "We see modest discounts overall in the group, on the whole it’s not screamingly cheap, but there are pockets of value." Mark Snyderman, Fund Manager at Fidelity Investments, feels that "...real estate stocks are fairly valued. From this point, one should expect an average of upper-single-digit total returns per year". The current bull market according to the S&P 500 is trading at a PE ratio of around 25, and this is lower than the PE of 26 posted by the S&P 500’s longest bull market when it was the same age. When the dot-com bubble did finally burst, the price-to-earnings multiple reached a lofty height of 30. Sam Stovall, chief investment strategist for CFRA, penned a noteworthy line when he wrote: "Bull markets don’t die of old age, they die of fright...". It will be anyone’s guess what the eventual trigger will be that leads to the fright that ends this current run, but for the moment at least, the property market seems intent on celebrating another birthday.